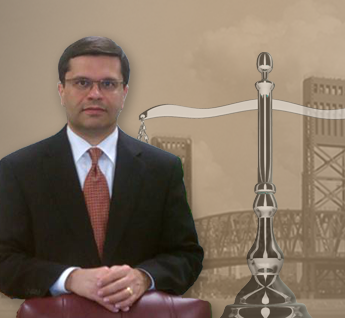 Rehan N. Khawaja, is an experienced bankruptcy attorney in Jacksonville, Florida. Mr. Khawaja and his expert legal team specialize in bankruptcy law and offer personal services for individuals and businesses in debt. Our law firm is built on strong attorney-client relationships and superior legal services for achieving debt relief. Mr. Khawaja is a former President of the Jacksonville Bankruptcy Bar Association; and has been an active member of that organization's board of directors for more than 10 years. Bankruptcy Attorney Khawaja, with 22 years Bankruptcy Law Experience, offers an array of legal services including foreclosure and vehicle repossession help and bankruptcy law. Mr. Khawaja offers a free initial consultation for individuals, married couples, partnerships, businesses and corporations. We'll learn about your personal situation and offer solutions that can meet your needs. If you're qualified to file a bankruptcy petition, Mr. Khawaja will guide you through the process of determining your financial state, and will petition and attend court hearings. Call Rehan N. Khawaja Attorney at Law to schedule a FREE consultation with a leading bankruptcy lawyer in Jacksonville, FL. We achieve debt relief for clients in the surrounding areas of Fernandina Beach, Orange Park, Neptune Beach, Jacksonville Beach, Ponte Vedra Beach, St. Augustine, Green Cove Springs, Middleburg and Palatka, Florida.